MPM-Quality v. o. s. uses the trademark PRIM as its proprietor, having properly acquired the trademark from its former owner and registered it in the trade mark register, and is authorized to use the trademark to designate specified products pursuant to provision 8, Sections 1 and 2 of Act No. 411/2003 on Trademarks. MPM-Quality v. o. s. holds both the right to other registered trademarks (with a priority dating back to 1955) and the exclusive right to use copyrighted works in the PRIM logos created by Mgr. Jiří Rathouský, as well as the right of the previous user. MPM-Quality is the sole valid owner of all PRIM trademarks, especially the PRIM word mark under categories 9 and 14. At the same time, we own all the original graphic and combined trademarks registered since 1955 (combined registration No. 152529, priority as of 20 December 1955). These are the PRIM trademarks that our company acquired in 2001 from the only legal owner of the brand Chronotechna Šternberk (Eutech). Word reg. No. 165917, priority as of 24 April 1985. Combined reg. No. 152529, priority as of 20 December 1955. Combined reg. No. 153324, priority as of 8 January 1958. Combined reg. No. 208817, priority as of 30 April 1997. Combined reg. No. 249929, priority as of 21 April 2000. For many years now, our company has owned additional PRIM logos, created by our own graphic studio, as copyrighted works (since 2002). We also own copyrights to works of the company Eutech (formerly Chronotechna Šternberk), for which we own the original drawing documentation from 1967 which serves as the basis for the PRIM logo in capital letters that was later modified by our designers. MPM-QUALITY v.o.s. also has the exclusive right to use the PRIM logo created by Mgr. Jiří Rathouský, as his copyrighted work, based on the license agreement of 25 June 2014 concluded with the heirs of Mgr. Jiří Rathouský, JUDr. Hana Jareš Procházková, and Antonín Jareš. 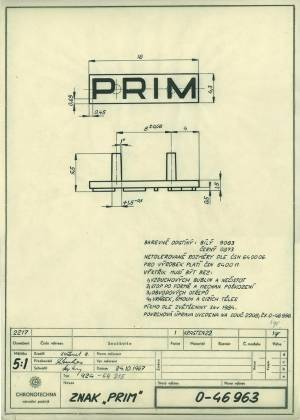 The first PRIM trademark was registered as early as 1955 by Chronotechna Šternberk to designate its timing devices – it contained the letters PRIM, lowered on either side with a broken border (loaf-shaped) above the letters. 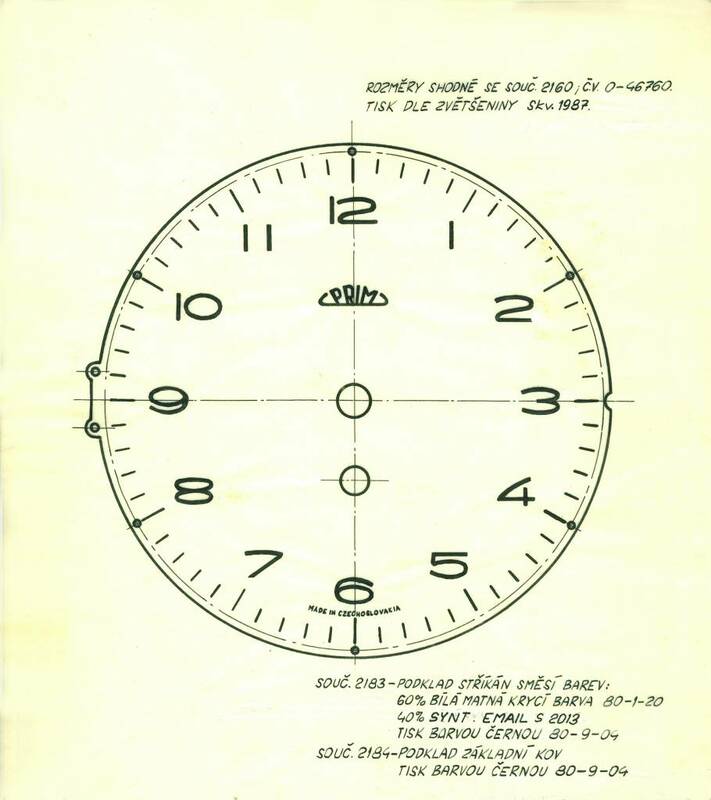 In 1958, another PRIM trademark of the same design was registered by the then National Enterprise Chronotechna. The trademark was also registered for wrist watches. 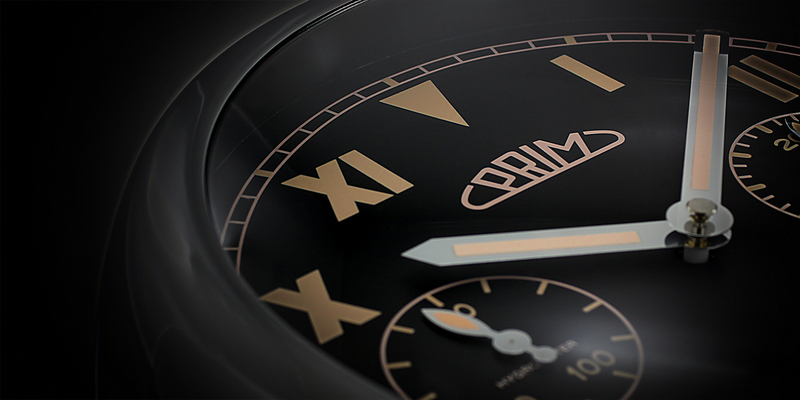 At present, we also use another PRIM logo for marking our watches. This is based on a modern font and is highly readable, both on watches and in promotional materials. 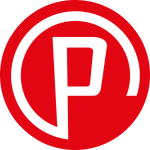 It conveys the necessary dynamism, while at the same time building on the best of the previous versions of the PRIM logo. Our team of graphic designers created a logo that reflects our values ​​of tradition and modernity. The letter P is connected by a circular arc, which represents the passage of time. This element is our key symbol for our brand. We draw upon the capacity of a strong company with 25 years of experience in watchmaking, we are the only company in the watchmaking sector to hold the CZECH MADE certificate, and we regularly certify new PRIM models every year. 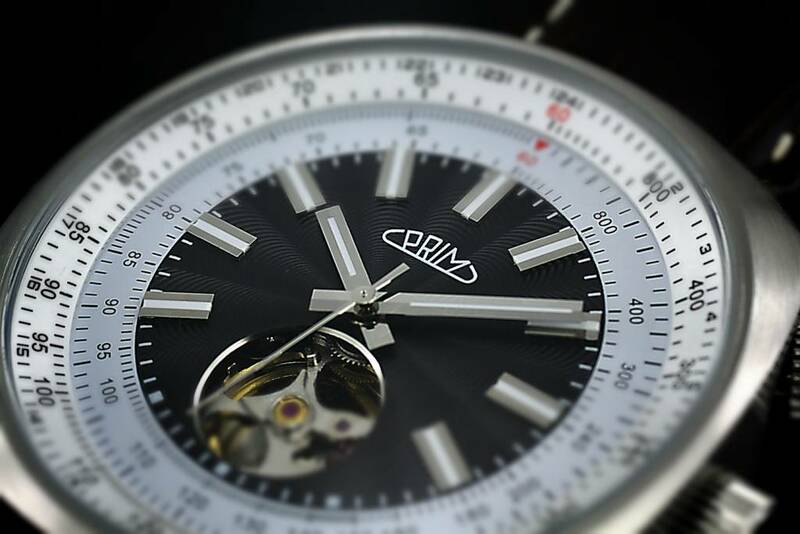 The PRIM watches we manufacture are constantly tested and improved, which is why they lead the way in the industry. 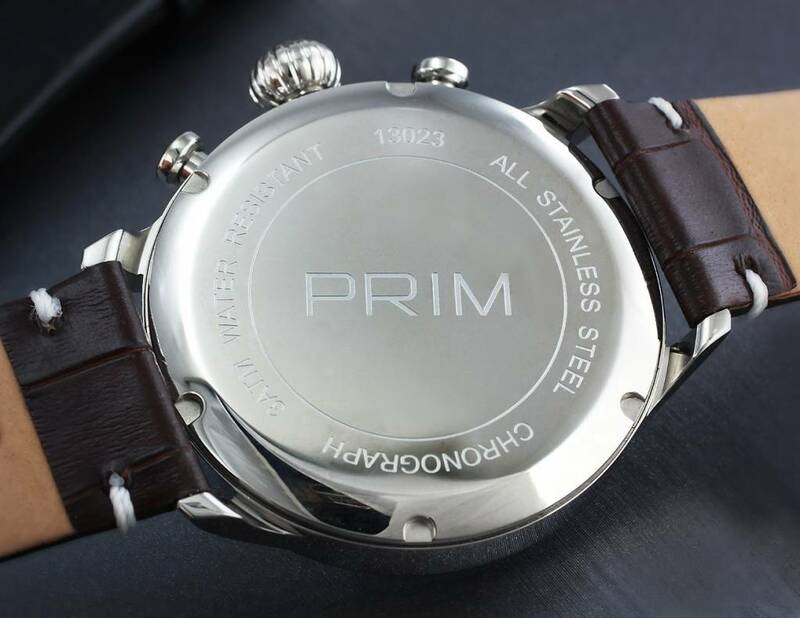 Our customers include distinguished celebrities, athletes and important figures, but above all you – our customers, who appreciate the everyday qualities of PRIM watches. Our designers and watchmakers, based at company headquarters, regularly create new collections and apply the latest technology and materials.